Soak rice and urad dal separately in water for 2-3 hours. First grind the urad dal to smooth paste. Remember that smoother the better. Then grind rice to a coarse paste. Make sure that you don’t grind rice to smooth paste. Mix them together adding required salt to slightly thick paste. The batter should be thicker than the dosa batter you prepare. Keep it covered to ferment for overnight. Next day pour a ladle of batter into idli maker and steam cook in medium flame for 15-20 minutes till they are done. Let them cool for few minutes (3-4 minutes) before you take them out. This way the idli will be fluffy and soft. 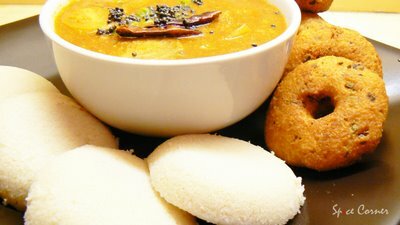 Serve hot with Coconut Chutney and steaming bowl of Sambar. Soak urad dal in water for 1-2 hours. Add chopped coriander leaves, ginger, green chillies and salt as required. Mix them well together with hands. Add little water if required. Make small lime sized balls and press them slightly using your palm. With your finger make a small hole in the center. Deep fry them in hot oil till they turn into lovely golden brown colour. 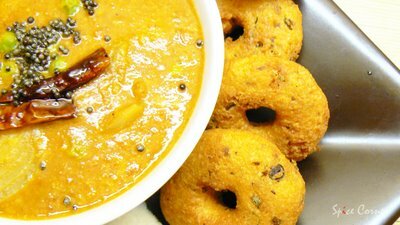 Serve hot with Coconut Chutney and Sambar. Delicious…. Heat oil and add mustard seeds, red chillies, curry leaves and hing. When mustard starts spluttering add this seasoning to sambar. You may be thousands of miles away from your country, but your roots are still deep down in your hometown. You may try different foods from different continents but the one which will always make you smile is the one from your mom’s kitchen. 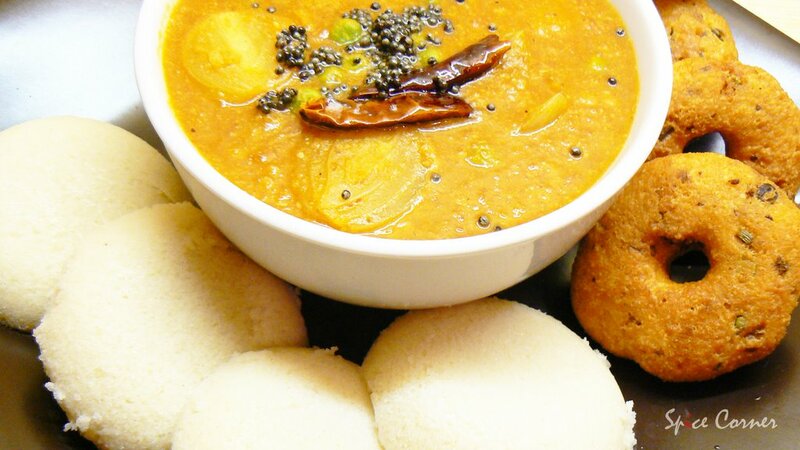 What better example can I give than the simple yet unbeatable taste of Idli-Vada with Sambar!!! Their simplicity takes your breath away and their taste wipes you off your feet, other than your loved one’s charm;) The pleasure you get from this type of dishes is only known when you try it out. It will surely bring back lot of good old memories. Your idlis look so soft.....and you are right about idlis being the queen of the breakfast scene. Your pictures are divine! Wish there was virtual way of eating those! 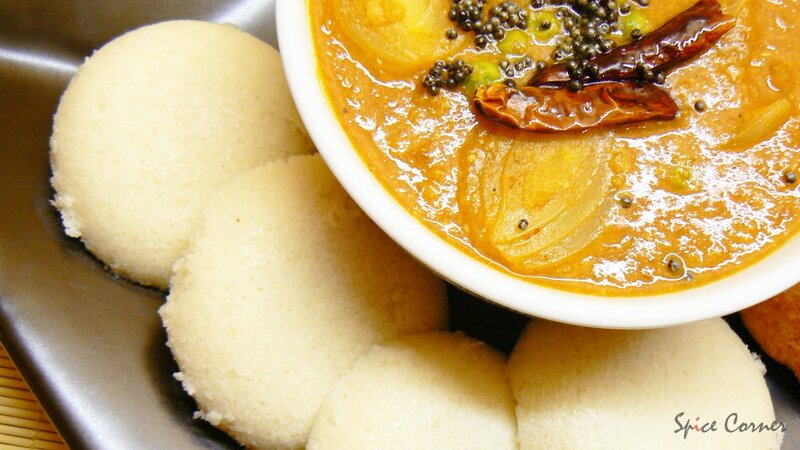 I LOVE idlis so much, you have no idea. Gonna make it in a couple days or so when he gets better. Oh they are looking so tempting. I m a big-big fan of Idli-Sambhar and vada, and I make it very often at home. All hail the queen! My mum makes this all the time. The only difference is the additional presences of coconut chutney. But I love your photos! what camera do you have?!?! I love both your blogs! The other blog and some the posts made me LOL (the one on being jobless etc. etc.). wow... what a compliment:) what can say!!! 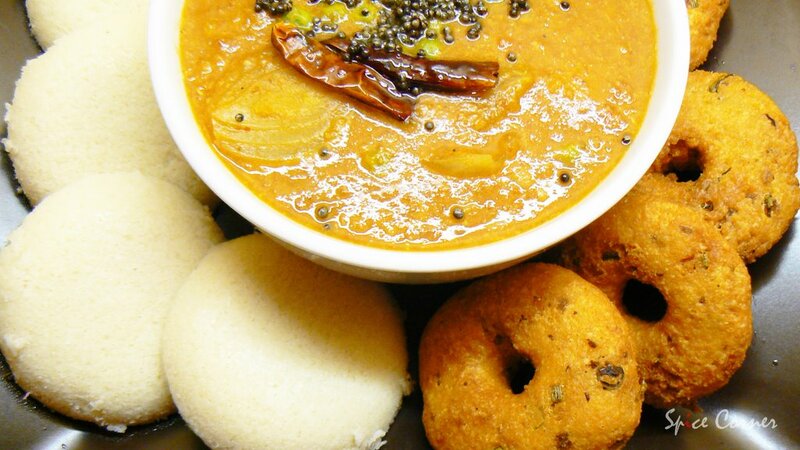 thanks dear..
Hey Supriya,idli vada sambar looks divine!oh how I love that combo.great photo too. 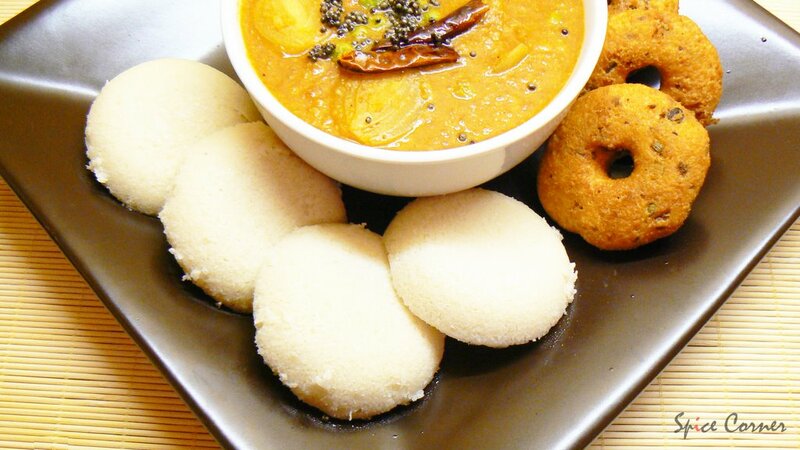 Idlis as well as Vadas look mouth-watering. I haven't tried vada yet. I will follow your recipe. thanks for sharing. Supriya thanks for visiting my blog. I am glad I got to know you. The idlis looks delicious. It is not at all fair to post such lovely and yummy looking food pictures in front of us ... Too delicious to not get ravenously hungry :). Please keep them coming..
the way of presentation of this recipe is so cool though it is a common one. i liked it very much.i want to make it immediately a nd have it.nice looking pictures. Yummy.....this one's a star in my household too. Hubby and 2yr old son love idlis dipped in sambhar. You have a very nice blog Sia. I adore your pics. I tried your samabar recipie .It came out nicely .Thanks for sharing the recipie .